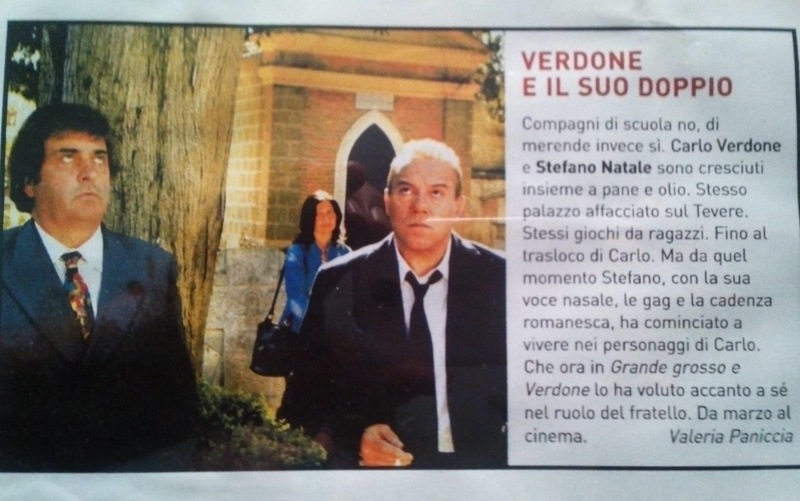 Carlo Verdone has been a fixture in contemporary Italian cinema for the last four decades. However, I was a bit late in getting to know his work. The first Verdone film that I saw was his 2006 comedy, Il mio miglior nemico (My best enemy). The clever writing and hilarious performances made me laugh until I cried. The film was presented at Open Roads: New Italian Cinema, Lincoln Center’s annual showcase of contemporary Italian films. Verdone was in New York to present the film and I was lucky to have had the opportunity to interview him. Just preparing his interview was a lesson in the history of Italian cinema. I was moved by the affection Verdone showed for the past when I asked him about the influences of Sergio Leone and Alberto Sordi. He spoke of them with tenderness in his voice and nostalgia in his eyes. They were more than teachers to him. I believe they were like family. I saw him at the festival again in 2010 and noticed right away a change in him. Although still personable and polite to his fans and the press, the light was missing from his eyes. I asked Pietro Coccia, the film series’ photographer, if something happened to Verdone. He said, “He lost his father.” Mario Verdone was a highly respected Italian film critic. He passed away in 2009. The film that Carlo Verdone presented at the 2010 edition of Open Roads, Io, loro e Lara was dedicated to his father. That experience made me think more deeply about Verdone. He was born in Rome in 1950 and grew up in a household that embraced the arts. He became a filmmaker under the guidance of the masters, Leone and Sordi. I thought, what a beautiful life he must have had and how it inevitably changed after these strong, close influences passed away. I wanted to better understand the pre-2006 Verdone. So, I went back to the beginning of his career and traced his journey. The first film I started with was his 1980 debut film Un sacco bello and then the next three- Bianco, rosso e Verdone, Borotalco and Acqua e sapone. Not only did these films help me to understand the evolution and development of Verdone’s career, they were a great sociology lesson on Roman culture in the 80s. The character that he portrayed was an endearing, simple, down-on-his-luck guy that just couldn’t catch a break. 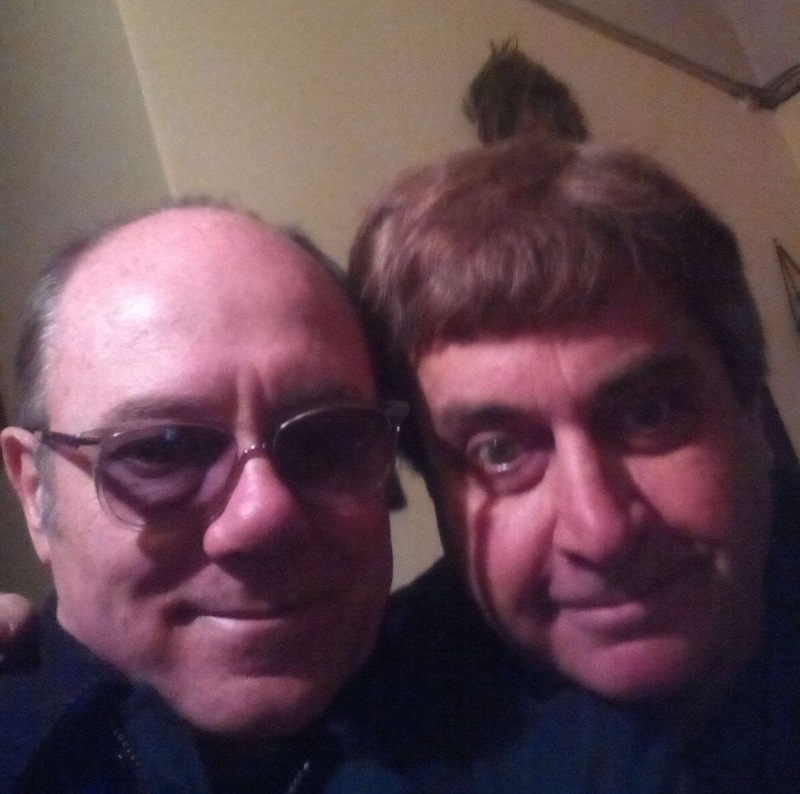 Fast forward to 2015, and I come face to face with Stefano Natale, the real-life inspiration behind Leo and Mimmo, Verdone’s characters in Un sacco bello and Bianco, Rosso e Verdone. What an amazing surprise. The documentary film, Showbiz premiered at the Festa del Cinema in Rome this past October. Actor Valerio Mastandrea produced the film to show a different perspective and perhaps a more realistic side of Paolo Sorrentino’s La Grande Bellezza. The story follows four eccentric characters, two in the twilight of their careers and the other two constantly reinventing themselves to stay afloat. Enter Stefano Natale, Verdone’s muse and inspiration behind “Leo” and “Mimmo.” Director Luca Ferrari presents Natale as a soft-spoken gentle giant that recalls Verdone in the same nostalgic, affectionate tone that Verdone spoke to me about Sordi and Leone. He shows old pictures of the two of them together and does hilarious impressions of Verdone impersonating him. Although each character in the documentary is surrounded by noise and people while they’re working, they return to their empty houses where they eat alone. Natale’s character made a strong impression on me because even in his moments of solitude, he has a natural aloof humor about him. He’s also a painter. His beautiful, colorful portraits line the foyer of his home. He talked about his methods of painting and took us through the creation of one of his pieces. A few hours after the film, I ran into Natale on the festival grounds and asked him if he had a few moments for an interview. We ended up spending more than an hour together. I think he’s a real treasure and I can see why Verdone drew so much inspiration from him. Meeting Stefano Natale made my experience come full-circle. Just knowing that there is a real endearing person behind this onscreen character. I highly recommend watching these films and the interviews with Natale. Most are available on YouTube. I guarantee they will make the artistic and cultural side of your life more rich and meaningful.